What's for dinner tonight. My hubby and daughter don't eat seafood at all, and I love it, which is frustrating to say the least for me as I cannot even cook it with them around as the smell of cooking fish makes my husband ill. Grrrr. Anyway, tonight they are off visiting friends so I am free and this is how I celebrate, my favourite seafood, Salmon. So I am trying this delicious looking recipe from taste.com.au tonight. 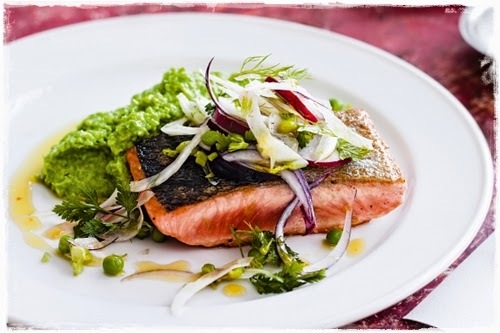 I would love you to share your favourite seafood recipes with me, add a link below in comments so I can store up more yummy recipes for when hubby is away and I can treat myself to something I don't get nearly often enough.